So, you are a real estate agent and want to be able to work on your own website? Don't know where to start? This post will show you the way. So, here you are. You have a nice Wordpress theme set up with IDX Broker Platinum or Lite installed. You have big ideas for creating new content and attracting visitors to the site, but, you are lost when it comes to managing your Wordpress site and feel overwhelmed with all of the terminology of the business. We have all been there. Even the most experienced developers felt this way at one point and often feel that way daily as they continue their progress. Finding the best learning resources is something that everyone who wants to learn website design / development struggles with; at least in the early stages. There is so much information on the web, and to be honest, the vast majority of it is out-dated. You do a Google search for information and find one article that says one way is the best only to see the next article in the search results says their way is the best. The truth is, there is a good chance that neither of them are accurate and up-to-date. The web changes quickly, and information from 2011 could easily be antiquated. So you continue on your search struggling to find a good resource for learning web design so you can be more effective with your real estate website. Without a little guidance, it is a nearly impossible task for find the best learning resources. The methodology at Treehouse is simple. You choose what you want to learn and follow the path laid out for you. Anything from building simple websites to more advanced courses in Python or mobile application development. In the case of a real estate agent using Wordpress, there is more than enough information to allow you to be an effective manager of your content. 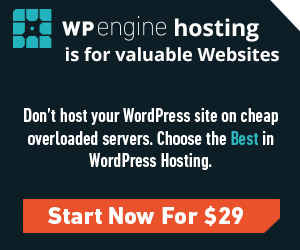 With enough dedication, you could even be building your own Wordpress themes. There are several ways you can learn. You can select A La Carte courses from their library in a variety of topics from HTML and CSS to Wordpress Theme Management Development. However, the optimal way to use their service is by selecting a specific Track. Tracks are like a road map to accomplishing your goals. In the case of Learning Website Design for a Real Estate Agent, you would start a track that takes you through the basics of HTML Markup, CSS, and some PHP / Wordpress training. The tracks are very comprehensive and each lesson is a short bite sized bit of training that can easily be absorbed on a lunch break, in between meetings, or in the evening before going to sleep. There is no magic wand that is going to make you an experienced website administrator or developer. 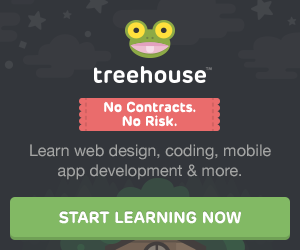 And even though Treehouse is by far the most reliable resource out there for learning modern website design, it still takes time, dedication, and most importantly, consistency. Most of these tracks are upwards of 40 hours or more of video lessons. So, find a way to digest it slowly because almost certainly you will burn out if you try to go too hard too fast. Go slow! Make sure you have a very firm grasp on concepts before moving on to the next. Use the Workspaces and follow along in the code. I cannot express how important it is to actually WRITE the code. You will never, ever learn by just watching the videos. Also, find a way to use what you are learning. There is no better way to retain information that actually implementing what you are learning into your daily routines.